New and Pre-owned aircraft brought to you by an industry leader. As a part of Quest Aircraft Company’s continuous efforts to provide an industry-leading global sales and support network, the company announced today the appointment of Airflite Pty Ltd as the exclusive sales representative for Australia and New Zealand. 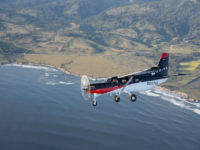 Quest Aircraft Company is dedicated to providing access to more people and more places by building the most rugged, reliable, turbine STOL aircraft in the business. For the past decade, the 10-seat Kodiak 100 has proven its versatility in a wide range of public, private, business and humanitarian applications. Today, the Kodiak 100 Series II continues that versatility while also boasting best-in-class safety and technology. Quest Aircraft continues to cultivate a global dealer and support network, providing customers assurance that their missions will be accomplished. The Kodiak is proudly built in Sandpoint Idaho, with a fleet of over 250 aircraft certified in over 55 countries around the globe.